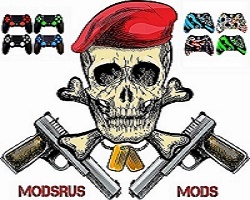 Here at Mods “R” Us we really could not be any more excited for Call Of Duty WWII! We have been lapping up every bit of info that has been revealed and today we found out some really cool stuff about the Call Of Duty WWII beta. This is not a leak either, it was actually revealed on the PlayStation official site. Call Of Duty is going to have five divisions, Infantry Division, Mountain Division, Airborne Division, Armored Division and Expeditionary Division. We thought the beta would only have a couple of these, but all five are actually going to be part of the beta and that is awesome. The beta for the PlayStation 4 version of Call Of Duty WWII will start on August the 25 and run to August 28th, so you have a whole weekend of action. The beta will also run the following weekend so you get two weeks to test it out. The Call Of Duty WWII Xbox One beta will start on September 1stand last until September 4th. Remember the PS4 beta is also running during this weekend as well. For some very strange reason no word has yet been given on when or if there will be a beta for Call Of Duty WWII on PC! The official release date for Call Of Duty WWII is November 3rdand we feel that after this beta, people are going to be even more excited for it. Let us know in the comments below if you are going to be part of the beta and what console you will be playing it on!